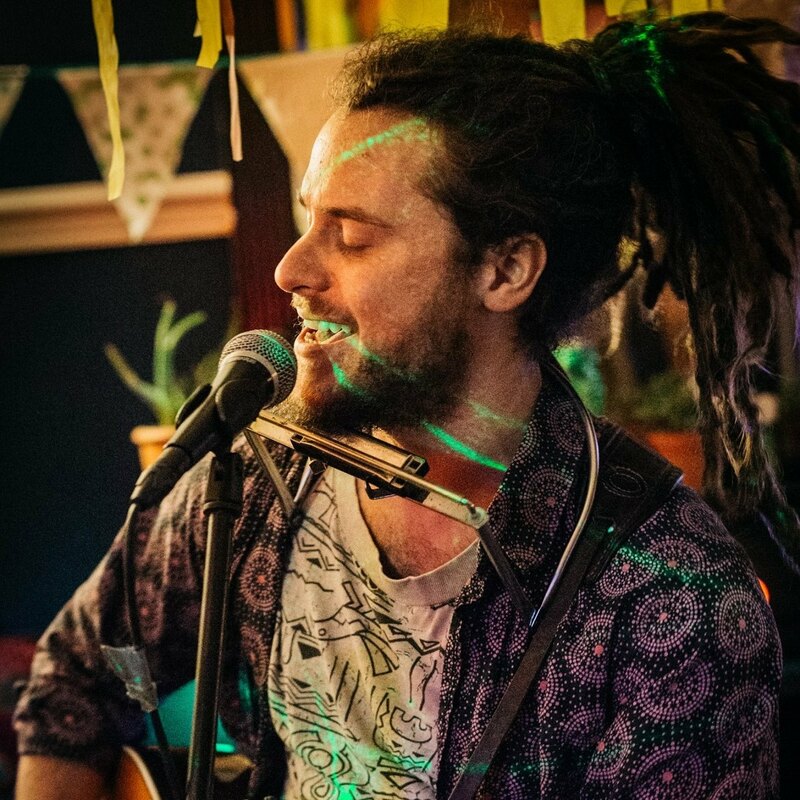 Luke is a Manchester based singer-songwriter, multi-instrumentalist, workshop leader, promoter and producer. With over 15 years music experience under his belt he is constantly striving for new and exciting experiences. The songs he writes come from the heart and mind. The styles range from blues to reggae, from ballads to rock. The lyrics speak from his soul and capture serious themes of love, depression, happiness, politics, fear and suicide. Luke has a large body of work that spans over his years as a songwriter and is adding to this catalogue on a regular basis. His journey started at college where he met a group of musicians. After nearly a year of meeting up and playing for fun they were discovered by a promoter and asked to play their first gig in 3 weeks. Luke learnt how to play the bass guitar in this short space and perform on stage for the first time in The Swifts. They then went on to perform at a host of underground, including some of the roughest venues in Manchester. The band chopped, changed and developed and became Dino Collage, a powerful three piece that first developed Luke’s skills as a songwriter. On their debut album Copyright 2006 Luke wrote all the lyrics and collaborated on the writing of the music. This was around the same time Luke really started with his personal songwriting. His early songs were observational pieces about the state of the world and the politics surround this. Luke went on to perform his music at any opportunity possible, once again playing Manchester’s underground venues. With now several years of experience under his belt he was inspired to start running his own events. Starting with an open mic night at Fuel, he quickly built up his experience moving to bigger venues and hosting larger bands. At Saki Bar he started his Skint But Happy reggae nights that still continue to this day as Reggae Thursday. The venues he worked at include Sound Control, The Thirsty Scholar, Band On The Wall, The Contact Theatre and Antwerp Mansion, to name a few. He has hosted / performed along side hundreds of bands / artists such as Extra Love, The Mouse Outfit, Dirty North, JP Cooper, Sister Nancy and Roni Size. He worked in collaboration to set up Cirque Du Manc, a circus themed club night and performance troupe. The large-scale events sold out, the troupe would spend the summer travelling the festival scene and eventually run their own festival stage at BomFest 2012. Luke joined Bexley Square Blues Band as their electric guitarist and went on to play many high profile gigs and festivals including Beathearder and Congleton Jazz & Blues Festival, while still writing and performing his own songs. As well as his solo work, Luke has many works that have been written in collaboration. His work with the Psychedelic Pirates showcases his talents for music production and synthesis. With this group he plays Ableton Live as a performance instrument on stage creating the spine of music the band and circus performers. Luke loves sharing his inspiration for music & songwriting and works as a music leader delivering different types of music workshops to young people of varying levels of ability and background. He works mostly with the underprivileged and offering them an insight into the world of music that changed his life at the age of 16. This began when he met up with Brighter Sound (then called GMMAZ). They saw a talent with his songwriting and personal skills and nurtured him to use these skills with young people. The work Luke did with the charity LSU Foundation was a particularly large project. He spent over 6 months raising money for the charity and then set of to Malawi, Africa with a bag full of guitars, a recording studio set up as well as many other instruments. He then spent 2 months working at the Tilinanu Orphanage where he wrote and performed an hours worth of music with the 40 young people who lived there. He later returned to Malawi later that year to perform the set at Lake Of Stars festival, the biggest music festival in Malawi. As well as the performance he recorded a 4 track EP with the orphans that is now available on the LSU Foundation website. 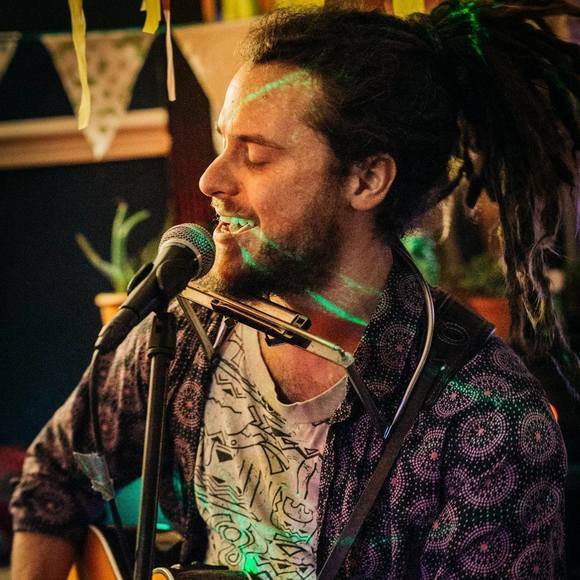 In 2016 he set off on a European busking tour that took him through England, France, Spain, Portugal, Hungary, Germany, Italy, Holland and Morocco. He made his living and travel by playing in most cities he set foot in. He also managed to get slots at Freekuency festival in Portugal, Ozora and SUN festival in Hungary, as well as many venues along the way. He was selling his Best Of album. An album comprised of 18 recordings and demo from his years of music. On bandcamp there is a 28 track version of this album. On returning to England he recorded his first studio album Quantic Existence in his home studio. This was full of original material that was written on the road through Europe. It consists mainly of travelling songs. This album was described as an experience that pulls you in and makes you feel that you are taken by Luke and stay by his side along the way. After all these years, Luke is as focused and inspired by music as he has ever been. Looking forward to the future he wants to continue performing and continue working towards becomes a recording artist. He is always looking for like-minded people for collaboration that shares his vision of what music is and the power it holds to help the world.